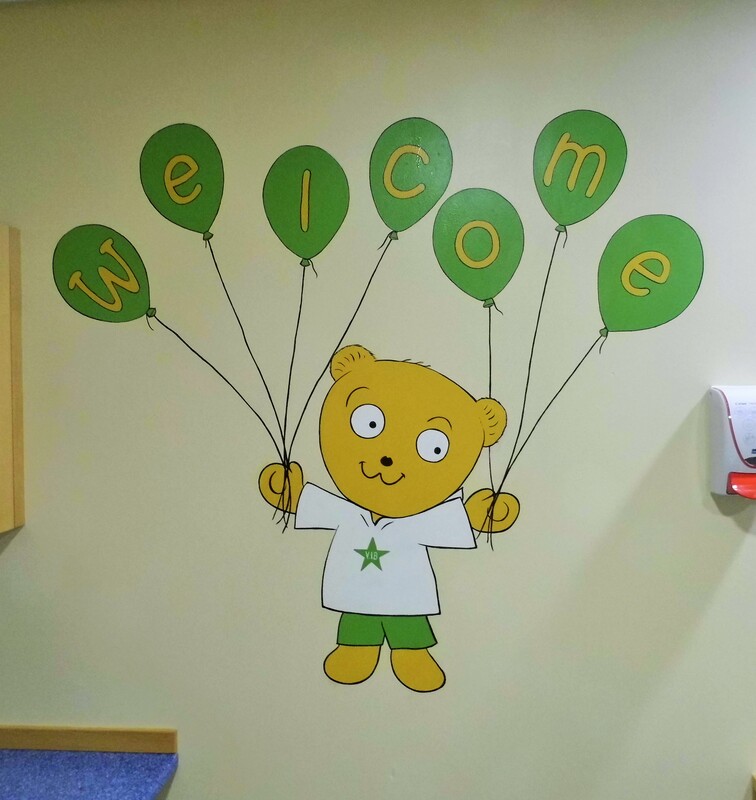 This Bear mural was painted in the in entrance to the crèche at Nuffield Health and Wellbeing centre in Warwick. The bear is called Nuffy and is the companies mascot. A simple mural like this is an economical way to transform and update a space in a short amount of time. This one only took 5 hours to paint including varnishing. Look at the other murals I have completed for ideas. Please contact me if you would like a quote or a consultation for a mural.